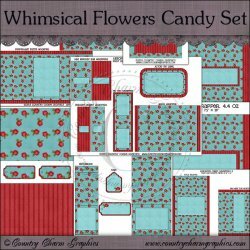 This Candy Set comes with a total of 24 Printables in 300 DPI JPG's. Â©Original Artwork by Cheryl Seslar. Â©Original Printables/Templates by Country Charm Graphics.